Dylan Fraychineaud: No, it’s not happening two years in a row. Harris Ahmadzai: Gardner-Webb was probably deserving of a higher seed. They shoot the ball extremely well (39.1 percent from three) and have a legit go-to scorer in senior guard David Eifanayi. 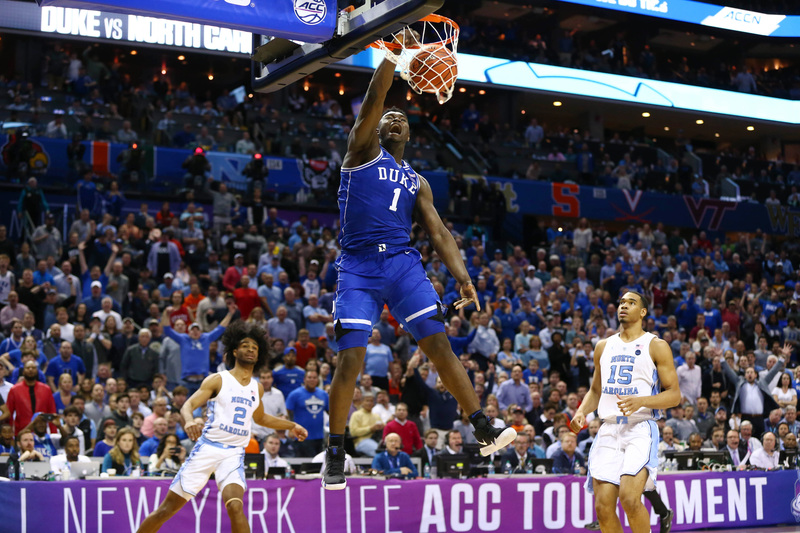 They’ve also faced fairly stiff competition, keeping it close with VCU, Virginia Tech, and Furman to start the year, and beating two ACC schools in Georgia Tech and Wake Forest. In a different situation, Gardner-Webb could give a No. 1 seed a run, but not this 1-seed. 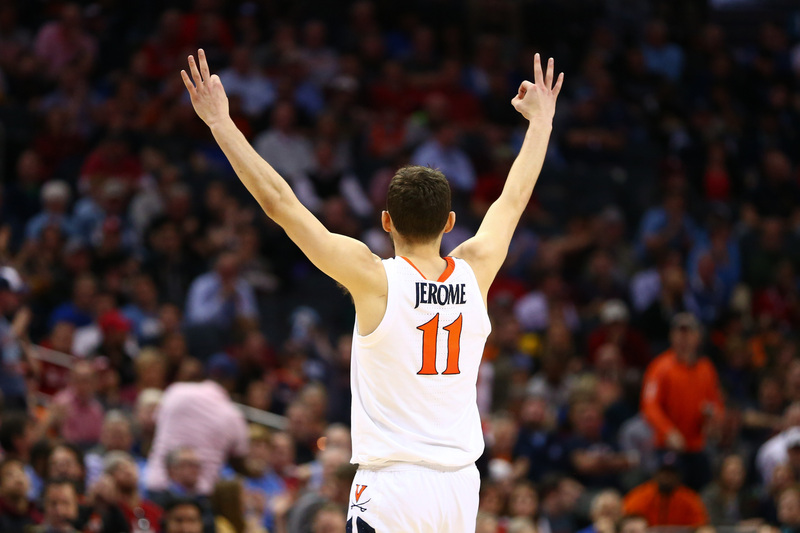 Virginia takes out all of last year’s frustration and dominates in the Round of 64. Jason Fray: Virginia can’t possibly lose again…can they? Ironically enough, Gardner-Webb is likely the best No. 16 team in the field. With that said, there’s no way Virginia will suffer another defeat to a No. 16 seed. DF: This game will be decided by turnovers. Ole Miss hounds teams into making mistakes to the tune of one turnover every five possessions. The Sooners are a good defensive team but don’t have a ton of firepower. In the end, Ole Miss’ guards and pressure will lead to a narrow victory. HA: Ole Miss has some impressive guard play, but the overwhelming size across all positions for the Sooners. will end up being the deciding factor. Oklahoma will ride their edge on the boards and on the defensive end to a matchup with the top-seeded Cavaliers. JF: This contest is a classic toss-up. Neither team will advance beyond this point in the tournament. If we’re attempting to pick a winner between two equally uninspiring teams, best go for the one with the better/more prolific coach. In this case, it’s Oklahoma. DF: One of the region’s better opening games, Wisconsin and Oregon are clicking at the right time. Before falling to Michigan State in the Big Ten Tournament, Wisconsin had won 6-of-7. 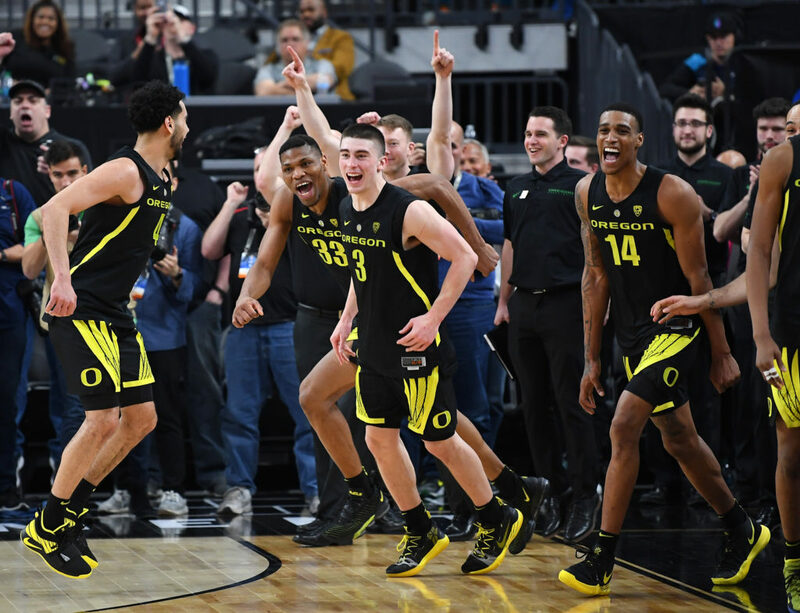 Oregon — after a highly disappointing season — finished the year on an eight-game winning-streak and generally dominated its opponents. The Badgers will win this one in the last minute. The Badgers always come to play come tourney time, and have a reasonable path to the Sweet 16 awaiting them. JF: When analyzing Wisconsin’s schedule this past year, they have a tendency to struggle versus longer, more athletic teams. Oregon certainly fits the bill in that capacity. Kenny Wooten is an excellent shot-blocker, and Louis King is quickly emerging into a high-level NBA prospect. The Ducks have won eight in-a-row, and are peaking at the right time. Ethan Happ is a bear down low to contend with. However, Oregon head man Dana Altman is terrific in giving opposing stars funky looks (such as a triangle and two, or a box and one). Look for Oregon to advance from this game — and potentially beyond. DF: If Dean Wade was healthy, I would have K-State winning its first two games. With Wade likely done for the year, Irvine is eyeing an upset. The Anteaters play very good defense and Max Hazzard is a very capable guard. I’m feeling an Anteater upset. HA: Dean Wade being healthy almost assuredly makes Kansas State a better basketball team. But, they were able to advance to the Elite 8 last year with Wade having played just eight total minutes. The rest of the roster is experienced and talented enough to fend off the Big West champions. JF: Irvine is a damn good basketball team. The Anteaters can shoot the three, and defend inside the paint quite well. While an upset certainly could be in the cards here, K-State did get to the Elite 8 last year without star forward Dean Wade. They’ll narrowly defeat Irvine here. DF: The defending champions aren’t a threat to win it all, but they could end up making some noise in the South. However, the Gaels will be a tough task in the first round. Saint Mary’s finished second in the WCC and knocked off Gonzaga in the conference final. Both teams play really slow, but the Gaels have a top-25 offense. This will be a close one. HA: This will be a slog. Both Villanova and Saint Mary’s play at a woefully slow pace. Out of 353 Division 1 programs, the Wildcats and Gaels rank 324th and 346th, respectively, in possessions per game. Villanova’s current roster is a far cry from the team that dominated the field in 2018. In the first, big upset in this year’s tournament, Saint Mary’s finds a way to pull out a victory. JF: The emotion of beating Gonzaga in the WCC Tournament will be too much for St. Mary’s to overcome. Villanova has been here time and time again, and actually look like a team capable of causing some serious damage in tournament play. St. Mary’s relies on guard play…but so does Villanova. DF: Momentum is building for Old Dominion in this matchup, but I’m not buying it. Carsen Edwards is too good of a player to let his team lose in the first round. Old Dominion’s best chance is if Edwards shoots 3-for-20. HA: Carsen Edwards is a bad man. He boasts the full skill-set of a lead guard who can carry a less talented team through the field ala Kemba Walker and Shabazz Napier. The Boilermakers aren’t as deep as they were last year, but Edwards is good enough to get them through an over-matched Old Dominion squad. JF: While I don’t think Purdue will enjoy a lengthy time in the NCAA Tournament, it should be able to get past Old Dominion. Carsen Edwards is more than capable of putting up a quick 30 en route to a 15-point victory. DF: In what should be a very physical game, I’m going to give the edge to the hotter team. Iowa limped to the finish line, going 2-6 down the stretch. 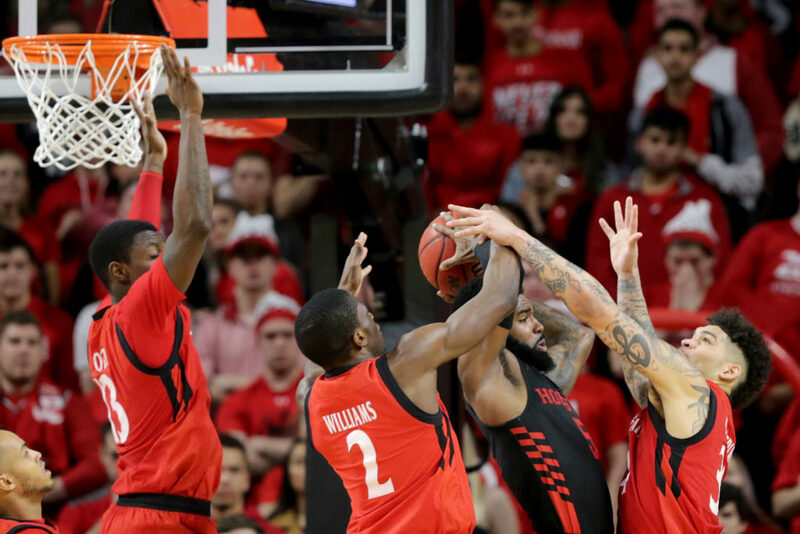 The Bearcats knocked off Houston to win their conference final, and have the look of a dangerous team. HA: I can’t remember a series of 7-10 games more difficult to call than the bunch we’ve been handed this year. Cincinnati flew off the national radar a bit with a shaky showing in the American Athletic Conference. The Bearcats put everybody back on notice by trampling through the conference tournament. Iowa has been in a tail spin since the end of February, having lose six of their last eight games. I’m siding with the team that has been competitive all year long, and Iowa’s lackadaisical approach to the end of the year left a bad taste in my mouth. JF: Cincinnati will be buoyed by the fact that this contest is being played in Columbus. With a Bearcat-heavy crowd expected, I expect Mick Cronin and co. to tighten the proverbial screws on what’s been a somewhat inconsistent Iowa squad. The Bearcats will then be presented with the chance to take down No. 2 Tennessee in the Round of 32. DF: Colgate is a good shooting team and will be able to put up some points, but Tennessee will be far too much to handle. HA: The Vols are absolutely serious this year. A team filled with tough upperclassmen, I wouldn’t expect an early exit for Rich Barnes’ team. JF: Tennessee is a veteran-laden team with a chip on its shoulder. Colgate is simply sitting on the track as the train is ready to come through.